These bright and bubbly characters are designed to address baby's sensory development at every stage, stimulating hand-eye coordination and fine motor skills. All MAM friends are made from 100% natural rubber harvested from our hevea trees, which are grown just for us in Thailand. At our local facility, we expertly and lovingly handcraft this natural rubber into baby's special MAM friend. 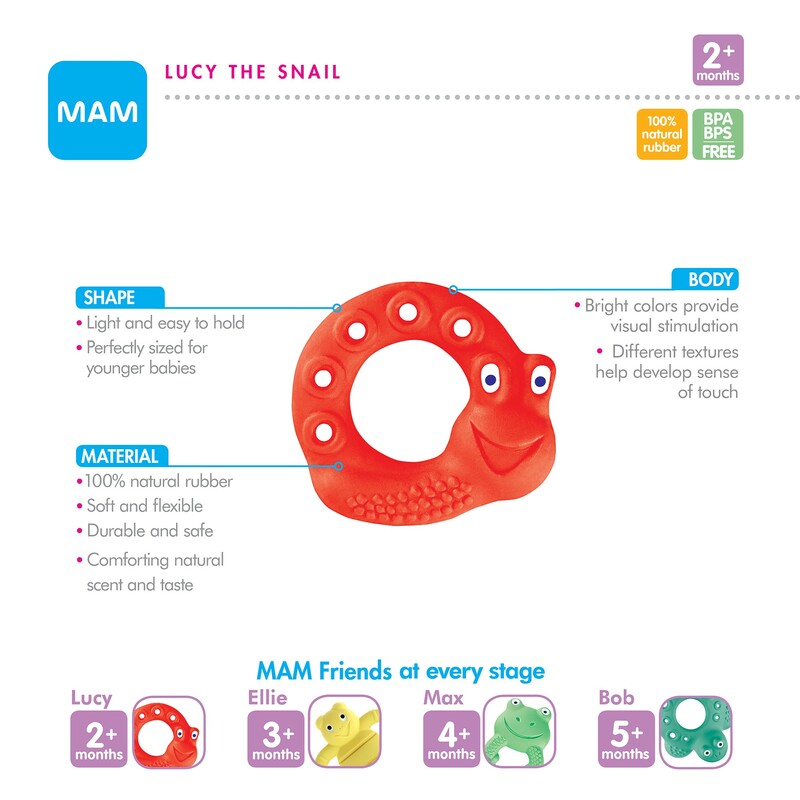 MAM Friends are available at Amazon and buybuyBaby. Lucy is super soft and light, perfect for little hands. 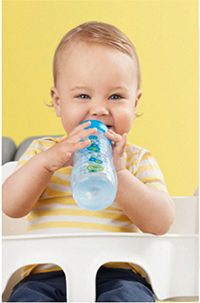 Fun and bright, Lucy appeals to baby's senses from the very start. Bright colors provide visual stimulation. Different textures help develop sense of touch. Soft and flexible. BPA/BPS free. Comforting natural scent and taste. Before first use, boil for 5 minutes. For regular care, simply wipe surfaces with a damp, clean cloth and air dry. Do not sterilize, wash in dishwasher, or microwave.